The republishing of the prodigious historical novels of Anya Seton in the first decade of this century brings to light the treasure trove encompassed in her work. Winthrop Women, first published in 1958 and later released in 2006 is a particular gift for those whose interests lie in the history of the Puritans, the Massachusetts Bay Colony and the early settlement of the environs of Greenwich, Connecticut. Above all, it is a great love story and the saga of a strong and independent woman richly entwined in the region’s history. 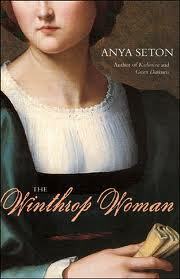 Winthrop Women embraces a broad historical web, set in the 1600s (1617-1655) centered around the family of John Winthrop, a fanatical practitioner of the Puritan faith who became the first governor of the Massachusetts Bay Colony and his rebellious niece and daughter-in-law Elizabeth Fons. Their descendents remain in Connecticut and throughout New England. Seton tells the Winthrop family and Elizabeth Fons’ story in three parts: The early years in England living a near aristocratic lifestyle; the great Puritan migration to the New World with the establishment of the Massachusetts Bay Colony; Elizabeth’s banishment from Massachusetts and her emergence in Greenwich, Connecticut with husbands (correct) , lovers and children joining in the journey! Anya Seton’s story of Elizabeth is written in ” high-definition.” From childhood, “Bess” is of independent thought and passionate in her views. She was born on a collision course with the beliefs of her Puritan elders, especially John Winthrop. Long before boarding the ship Lyon for the journey to the New World, this child of luxury and high social status had established herself as the Fons’ and Winthrop family non-conformist. Proudly leading his flock beneath the banner of religious freedom to the colonies in New England, far away from the dictates of King Charles, Cromwell and the ruling British establishment, John Winthrop becomes a zealot and religious tyrant, ruling over his domain, with a wrathful “God” as his enforcer. Elizabeth’s ever complicated life, saturated with her passion for men and her non-conformist beliefs, provides the framework for an abundant tableau of what life and love was like in 1630s New England. 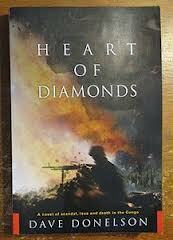 The drudgery of daily survival, the absence of luxuries, disease and Indians both friend and foe. Foremost, the woman’s role of being, above all, a necessary “good breeder,” upon which the future of the faith and the colony itself depended! Elizabeth, having fallen in love with John Winthrop’s son, her cousin Henry, became pregnant and was hastily married before leaving England! Henry, a kindred free spirit was not traveling with Elizabeth on the ship Lyon but was under his father’s supervision on the Arabella. Elizabeth learned upon her arrival in Massachusetts that Henry had drowned in a boating accident upon landing. There would be two more husbands and many children, living and still-born before her story concludes thirty years later. During a brief period when Winthrop had been ousted as Massachusetts Bay Colony Governor, the community rose up against Elizabeth’s behavior with rumors and speculation that she and her Indian servant Telaka were possessed by the devil. The outcry became witchcraft! Banishment from the colony, the final solution in those days short of hanging, saw Elizabeth, her family and Telaka ( whom Elizabeth had rescued from a slave auction) on their way to Greenwich where under Dutch law there was greater respect for individual freedom and religious beliefs. This novel is so wonderfully written and researched that of course, Telaka, had ended up in Boston only after being kidnapped from her tribe, the Siwanoy Indians who populated the area in and around Greenwich! A homecoming for Telaka and a new most welcoming home for Elizabeth, her husband and brood? Not quite that simple! In the Greenwich chapters you will walk with Elizabeth on the white beaches of Monakewago ( Tods Point), follow the Mianus River, witness the massacre of over 1000 Siwanoy Indians ( Telaka’s family) in what is today Cos Cob. There will be yet another husband and more “breeding, ” and another banishment with the loss of thousands of acres of land that today encompass the entire Town of Greenwich. History is taught in many ways and Seton is deserving of high praise both as a novelist and historian for Winthrop Women. Seton wrote Winthrop Women while living in Old Greenwich, Connecticut where she died in 1990 at age 86. She is buried there in Putnam cemetery. Other highly acclaimed novels by Anya Seton include, Foxfire ( 1950), Katherine (1954), The Mistletoe and the Sword (1956).